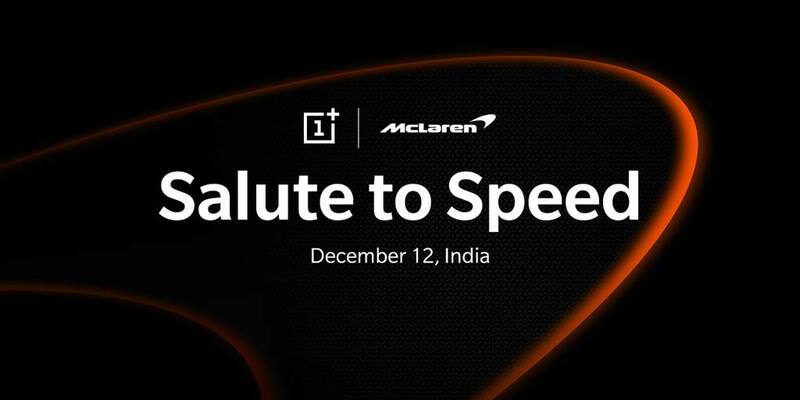 Just after announcing various offers on OnePlus 6T on the occasion of its 4th Anniversary celebrations in India, OnePlus announces its partnership with automotive and technology company McLaren. Apart from the partnership, the company has not announced anything else. More about the partnership including a special announcement will be revealed on 12th December 2018 in an event in India. Right from the OnePlus 3, OnePlus is collaborating with various firms to launch a special edition smartphone worldwide. OnePlus teamed up with Parisian retailer Colette to produce the OnePlus 3T x Colette 20th Anniversary Edition followed by Jean-Charles de Castelbajac to produce the OnePlus 5 x JCC+Limited Edition. Furthermore, after the launch of OnePlus 6, OnePlus has partnered with Marvel Studios to launch the OnePlus 6 x Marvel Avengers Limited Edition and In 2017, to celebrated its anniversary in India joined hands with Star Wars saga – The Last Jedi to launch OnePlus 5T Star Wars Limited Edition.